Lacto-Berry’s probiotics have a long shelf life, as the coatings are actually food for them. This guarantees the intactness and viability of these probiotics, so that they can be carried all the way to our GI tract alive and able to perform their jobs. Probiotics are the friendly bacteria residing in our gastrointestinal (GI) tract. 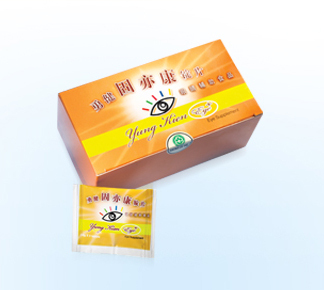 It gives immense benefits to us ranging from helping to subdue the allergic symptoms of some people, prevent constipation, improve our immune system to preventing colorectal cancer. This is because they improve the microbial balance in our intestines and promote the healthy growth of our GI flora. Probiotics, which offer immense health-giving benefits to the human body, refer to the friendly bacteria residing in our gastrointestinal tract. They are capable of improving the microbial balance in the intestines, apart from promoting healthy growth of our gut flora and reinforcing the immune mechanism in our bowel system. For people suffering from allergies, probiotics are helpful in subduing allergic responses and inflammations. In general, an uncoated probiotic formula gives the drawbacks of intolerance to an acidic condition and has a short shelf life, hence tends to lose all its viability in the presence of the strongly acidic gastric juice in our stomach. 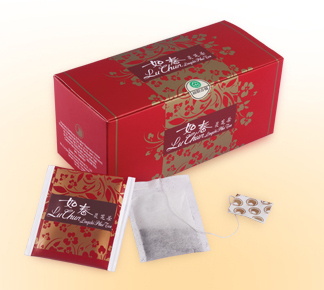 Shuang Hor Lacto-Berry is formulated through the state-of-the-art multi-coat technology under a body-temperature simulated condition, which not only effectively does away with the above inadequacies but also ensures an enhanced potency of the product. 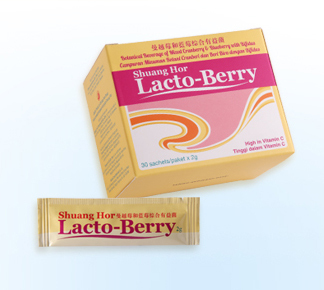 Lacto-Berry is a formulation comprising specially selected strains of probiotics (mainly lactic acid bacteria) from Europe together with 3 types of berries. There are at least 2 billion probiotics per sachet of Lacto-Berry. Can they help with digestive problems? Find out more about probiotics here. 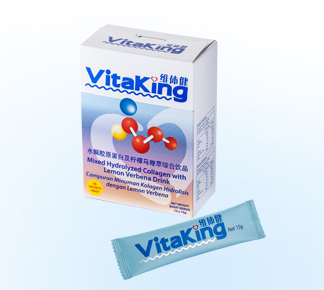 Special feature – it is formulated using the unique multi-coated technology to protect the probiotics. As such, the probiotics are able to survive the strongly acidic gastric and bile juice in our stomach and our body heat. This makes Lacto-Berry high in quality and stands out from many probiotics products in the market. Bifidobacterium Lactis (L form): Capable of breaking down fibre and the diffcult-to-digest oligosaccharides, improving the acidity in the GI tract, subduing the proliferation of harmful bacteria, and encouraging the digestion and absorption of dairy produce. Bifidobacterium Longum (L form): Maintaining flora balance of friendly colonies in the GI tract, inhibiting the growth of pathogens, preventing the onset of constipation, and militating dysentery. Bifidobacterium Longum is found in the large intestine, where it produces the B-group vitamins and other enzymes that aid in digestion and prevention against diarrhoea caused by antibiotics or food pathogens. 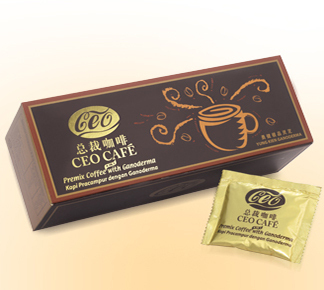 At the same time, it also effectively helps the human body in resisting the intrusion of infectious agents, getting rid of harmful bacteria, regulating the immune system, strengthening our physical resistance against diseases affecting the gut, and reducing the risk of cancer. Isomalt: A sugar substitute almost as sweet as sugar, Isomalt has half the calories, hence is safe for consumption even among diabetics. 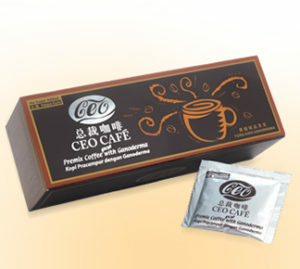 It is capable of exciting the GI activities to further soften the stools and alleviate constipation. Besides, it also encourages the growth of Bifidobacterium and initiating peristaltic activities of the friendly bacteria to improve the well being of the GI tract. People with or without illness. People who encounter daily stress. Patients after medical treatment, as it helps reduce the side effects of medication. Pregnant ladies – it gives a stronger immune system to babies, hence reducing the chance of them getting allergic reactions when they grow up. Babies who are not breastfed, to help them digest food better and boost up their immune system.